It was Nordic on the inside, Nordic on the outside Thursday evening at Music Hall. As snow piled up in the streets, music director Paavo Järvi led the Cincinnati Symphony in music by Grieg, Sibelius and Aulis Sallinen. 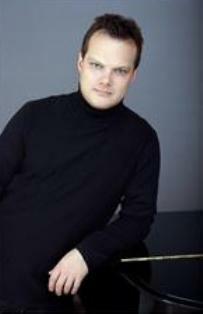 Pianist Lars Vogt performed Grieg’s Piano Concerto in A Minor. Järvi conducted Sibelius’ Symphony No. 5 and Sallinen’s Symphony No. 8 ("Autumnal Fragments"). It was the U.S. premiere of the Sallinen. They will perform the same program Monday evening at New York’s Carnegie Hall. The snow would have been fitting if it hadn’t been so inconvenient. Attendance was low - there were even some brownies left over after the complimentary buffet dinner - and the empty seats made the mismatch between 3,500-seat Music Hall and the CSO even more glaringly apparent. Everyone played exceedingly well, but how much more exciting it would have been if the performance had been as intimate as the ones they gave in the smaller halls of Europe in the fall. Musicians take energy from their audiences and having them close and in sufficient numbers is performance-enhancing. Something must be done to re-configure Music Hall to the needs of this great orchestra (until then, Cincinnati doesn’t know what it’s missing). Järvi led the world premiere of the Sallinen with Amsterdam’s Royal Concertgebouw Orchestra in April. Cast in a single movement (20 minutes), it is autumnal, if not tragic. The harmony is tonal. Sallinen, elder statesman of Finnish music, adopted tonality in the 1970s after an earlier experimental period. The scoring is vivid and keenly expressive. It opens mysteriously with soft taps of wood block. The strings sound a hopeful, questing melody, which is answered by despairing chords in the brass. New ideas are taken up and old ones take new forms. The effect is of a dispute that remains unresolved. Hope seems quashed as timpani and bass drum begin tolling and the texture dissolves into a soft string lament and ambiguous harmonies (Sallinen re-wrote the ending after 911). German born Vogt showed himself a gentle giant in the Grieg, giving its big moments thunderous expression and touching the deep recesses of the heart at quieter ones. Järvi’s accompaniment was pinpoint precise and closely tailored to Vogt’s ideas – in the first movement, he followed Vogt’s cadenza with a soft, magical extension. Visiting principal hornist John Zirbel of the Montreal Symphony helped paint a winter sunset in the Adagio and associate principal flutist Kyril Magg pealed out the flute solo in the finale. This reviewer was spoiled by Järvi’s revelatory Sibelius Fifth at Madrid’s 2,300-seat Auditorio Nacional in November. Thursday’s reading was marked by his typically extraordinary attention to detail and textural color. The second movement was delightfully playful, and he mined the finale for its formidable emotive punch. Kudos to principal bassoonist William Winstead for his ruminative solo in the first movement. Repeats are 11 a.m. today, 8 p.m. Saturday at Music Hall.